Reality is a consciousness hologram set in linear time to experience and study human emotions. 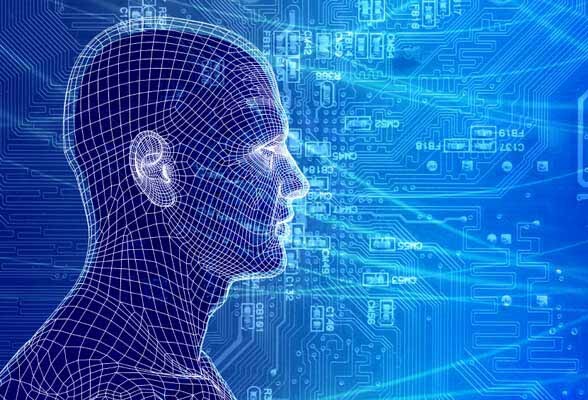 Consciousness moves from one reality to another - from physical (slow) to higher consciousness (faster frequency of thought) during out-of-body experiences, meditations, and dreams, in times of trauma and shock, sometimes remembering what they encountered, but other times unable to retrieve the information because it cannot be processed on understood at the physical level of conscious awareness. The light that people see if the source of consciousness creation for everything in our reality. Many people report meeting a deceased loved one or heavenly being, coming to a precipice or place where a decision about life or death must take place. They often witness their life passing before their eyes (their grid experiences), total consciousness, and a feeling of timelessness. Upon awakening, the near-death experiencer may return with a different perspective on their life gained from moving into higher frequency especially today when consciousness is accelerating to closure. Many believe that have returned because they have been chosen to do something spiritual to heal and help the planet and others. Some people remember their near-death experiences while others have some vague memories of being out of body. This is similar to dreamtime wherein some people wake up and remember events on the other side - while others have no memories. It is all about the movement of consciousness in and out of different frequencies of reality - or grids of consciousness. A near-death experience (NDE) refers to a broad range of personal experiences associated with impending death, encompassing multiple possible sensations including detachment from the body; feelings of levitation; extreme fear; total serenity, security, or warmth; the experience of absolute dissolution; and the presence of a light. These phenomena are usually reported after an individual has been pronounced clinically dead or otherwise very close to death, hence the term near-death experience. Many NDE reports, however, originate from events that are not life-threatening. With recent developments in cardiac resuscitation techniques, the number of reported NDEs has increased. Many in the scientific community regard such experiences as hallucinatory,while paranormal specialists and some mainstream scientists regard them to be evidence of an afterlife. Popular interest in near-death experiences was initially sparked by Raymond Moody's 1975 book Life After Life and the founding of the International Association for Near-Death Studies (IANDS) in 1981. 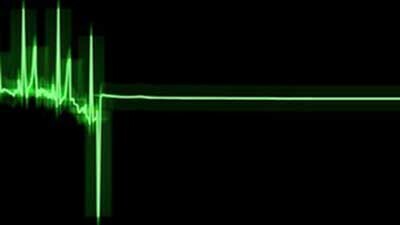 According to a Gallup poll, approximately eight million Americans claim to have had a near-death experience. Some commentators, such as Simpson, claim that the number of near-death experiencers may be underestimated. People who have had a near-death experience may not be comfortable discussing the experience with others, especially when the NDE is understood as a paranormal incident. NDEs are among the phenomena studied in the fields of parapsychology, psychology, psychiatry, and hospital medicine. The earliest accounts of NDE can be traced to the Myth of Er, recorded by Plato's The Republic (10.614-10.621). In this story, Plato describes a mythical soldier telling of his near-death experiences about an afterlife and reincarnation. 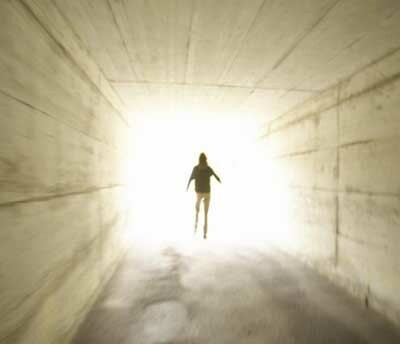 Researchers have identified the common elements that define near-death experiences. Bruce Greyson argues that the general features of the experience include impressions of being outside one's physical body, visions of deceased relatives and religious figures, and transcendence of ego and spatiotemporal boundaries. The experience may also follow a distinct progression, as illustrated below. Receiving messages in telepathic form. The notice of a very unpleasant sound or noise. (Claimed by R. Moody). A sense of peace, well-being and painlessness. Positive emotions. A feeling of being removed from the world. An out-of-body experience. A perception of one's body from an outside position. Sometimes observing doctors and nurses performing medical resuscitation efforts. A "tunnel experience". A sense of moving up, or through, a passageway or staircase. A rapid movement toward and/or sudden immersion in a powerful light. Communication with the light. An intense feeling of unconditional love. Encountering "Beings of Light", "Beings dressed in white", or other spiritual beings. Also, the possibility of being reunited with deceased loved ones. Being given a life review. Being given a "life preview" in the cases of George Ritchie and Betty Eadie which Ring calls an NDE "Flash Forward". Being presented with knowledge about one's life and the nature of the universe. A decision by oneself or others to return to one's body, often accompanied by a reluctance to return. There also seems to be a link between the cultural and spiritual beliefs where one lives. These seem to dictate what is experienced in the NDE or how it is interpreted afterwards (Holden, Janice Miner. Handbook of Near-Death Experiences. Library of Congress Cataloging in Publishing Data, 2009.). Contributions to the research on near-death experiences have come from several academic disciplines, among these the disciplines of medicine, psychology and psychiatry. Interest in this field of study was originally spurred by the research of such pioneers as Elisabeth Kubler-Ross, George Ritchie, and Raymond Moody Jr. Moody's book Life After Life, which was released in 1975, brought a lot of attention to the topic of NDEs. This was soon to be followed by the establishment of the International Association for Near-death Studies (IANDS) in 1981. IANDS is an international organization that encourages scientific research and education on the physical, psychological, social, and spiritual nature and ramifications of near-death experiences. Among its publications are the peer-reviewed Journal of Near-Death Studies and the quarterly newsletter Vital Signs. Later researchers, such as Bruce Greyson, Kenneth Ring, and Michael Sabom, helped to launch the field of Near-Death Studies and introduced the study of near-death experiences to the academic setting. The medical community has been somewhat reluctant to address the phenomenon of NDEs, and grant money for research has been scarce. However, both Greyson and Ring developed tools that can be used in a clinical setting. Major contributions to the field include Ring's construction of a "Weighted Core Experience Index" to measure the depth of the near-death experience, and Greyson's construction of the "Near-death experience scale" to differentiate between subjects that are more or less likely to have experienced an NDE. The latter scale is also, according to its author, clinically useful in differentiating NDEs from organic brain syndromes and nonspecific stress responses. The NDE-scale was later found to fit the Rasch rating scale model. Greyson has also brought attention to the near-death experience as a focus of clinical attention, while Morse and colleagues have investigated near-death experiences in a pediatric population. Neurobiological factors in the experience have been investigated by researchers in the field of medical science and psychiatry. Among the researchers and commentators who tend to emphasize a naturalistic and neurological base for the experience are the British psychologist Susan Blackmore (1993), with her "dying brain hypothesis", and the founding publisher of Skeptic magazine, Michael Shermer (1998). More recently, cognitive neuroscientists Jason Braithwaite (2008) from the University of Birmingham and Sebastian Dieguez (2008) and Olaf Blanke (2009) from the Ecole Polytechnique Federale de Lausanne, Switzerland have published accounts presenting evidence for the brain-based nature of near death experiences. In September 2008 it was announced that 25 UK and US hospitals will examine near-death studies in 1,500 heart attack patient-survivors. The three-year study, coordinated by Dr. Sam Parnia at Southampton University, hopes to determine if people without heartbeat or brain activity can have an out-of-body experience with veridical visual perceptions. This study follows on from an earlier 18-month pilot project. On a July 28, 2010 interview about a recent lecture at Goldsmiths, Parnia asserts that "evidence is now suggesting that mental and cognitive processes may continue for a period of time after a death has started" and describes the process of death as "essentially a global stroke of the brain. Therefore like any stroke process one would not expect the entity of mind / consciousness to be lost immediately". He also expresses his disagreement with the term 'near death experiences' because "the patients that we study are not near death, they have actually died and more over it conjures up a lot of imprecise scientific notions, due to the fact that itself is a very imprecise term". Researcher Lakhmir Chawla George Washington University medical centre in Washington DC argues that near death experiences were caused by a surge of electrical activity as the brain runs out of oxygen before death. Levels were similar to those seen in fully-conscious people, even though blood pressure was so low as to be undetectable, and could generate vivid images and feelings. The gradual tailing off of brain activity had occurred in the hour or so, before death, and was interrupted by a brief spurt of action, lasting from 30 seconds to three minutes. Dr Sam Parnia refuted this explanation, claiming that Dr. Chawla had not provided proof that the electrical surges he recorded were linked to near death experiences, saying: "Since all the patients died, we cannot tell what they were experiencing." Among the scientific and academic journals that have published, or are regularly publishing, new research on the subject of NDEs are Journal of Near-Death Studies, Journal of Nervous and Mental Disease, British Journal of Psychology, American Journal of Disease of Children, Resuscitation, The Lancet, Death Studies, and the Journal of Advanced Nursing. The prevalence of NDEs has been variable in the studies that have been performed. According to the Gallup and Proctor survey in 1980-1981, of a representative sample of the American population, data showed that 15% had an NDE. Knoblauch in 2001 performed a more selective study in Germany and found that 4% of the sample population had experienced an NDE. However, the information gathered from these studies may be subjected to the broad timeframe and location of the investigation. Perera et al., in 2005, conducted a telephone survey of a representative sample of the Australian population, as part of the Roy Morgan Catibus Survey, and concluded that 8.9% of the population had experienced an NDE. In a more clinical setting, van Lommel et al. (2001), a cardiologist from Netherlands, studied a group of patients who had suffered cardiac arrests and who were successfully revived. 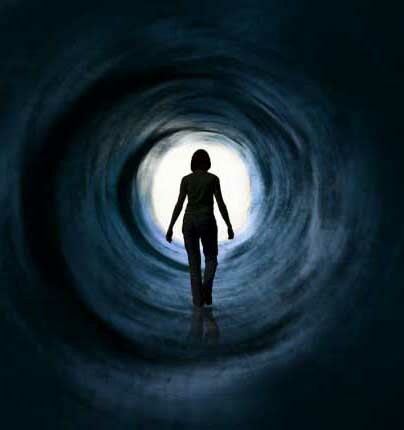 They found that 62 patients (18%) had an NDE, of whom 41 (12%) described a core experience. According to Martens the only satisfying method to address the NDE-issue would be an international multicentric data collection within the framework for standardized reporting of cardiac arrest events. The use of cardiac-arrest criteria as a basis for NDE research has been a common approach among the European branch of the research field. In the 1990s, Dr. Rick Strassman conducted research on the psychedelic drug Dimethyltryptamine (DMT) at the University of New Mexico. Strassman advanced the theory that a massive release of DMT from the pineal gland prior to death or near-death was the cause of the near-death experience phenomenon. Only two of his test subjects reported NDE-like aural or visual hallucinations, although many reported feeling as though they had entered a state similar to the classical NDE. His explanation for this was the possible lack of panic involved in the clinical setting and possible dosage differences between those administered and those encountered in actual NDE cases. All subjects in the study were also very experienced users of DMT and/or other psychedelic/entheogenic agents. 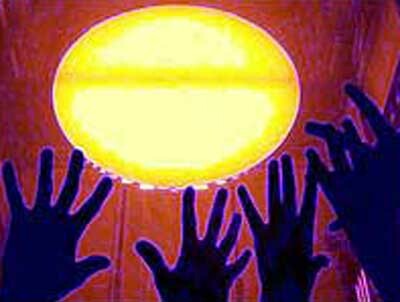 Some speculators consider that if subjects without prior knowledge on the effects of DMT had been used during the experiment, it is possible more volunteers would have reported feeling as though they had experienced an NDE. Critics have argued that neurobiological models often fail to explain NDEs that result from close brushes with death, where the brain does not actually suffer physical trauma, such as a near-miss automobile accident. Such events may however have neurobiological effects caused by stress. In a theory devised by Richard Kinseher in 2006, the knowledge of the Sensory Autonomic System is applied in the NDE phenomenon. His theory states that the experience of looming death is an extremely strange paradox to a living organism - and therefore it will start the NDE: during the NDE, the individual becomes capable of "seeing" the brain performing a scan of the whole episodic memory (even prenatal experiences), in order to find a stored experience which is comparable to the input information of death. All these scanned and retrieved bits of information are permanently evaluated by the actual mind, as it is searching for a coping mechanism out of the potentially fatal situation. Kinseher feels this is the reason why a near-death experience is so unusual. Because people who experience NDEs report the experience of memories long considered lost, this theory necessarily depends upon a theory of memory in which all memories are indefinitely retained. Such a stance would be at odds with current scientific findings. The theory also states that out-of-body experiences, accompanied by NDEs, are an attempt by the brain to create a mental overview of the situation and the surrounding world. The brain then transforms the input from sense organs and stored experience (knowledge) into a dream-like idea about oneself and the surrounding area. Whether or not these experiences are hallucinatory, they do have a profound impact on the observer. Many psychologists not necessarily pursuing the paranormal, such as Susan Blackmore, have recognized this. These scientists are not trying to debunk the experience, but are instead searching for biological causes of NDEs. According to Engmann, near-death experiences of people who are clinically dead are psychopathological symptoms caused by a severe malfunction of the brain resulting from the cessation of cerebral blood circulation. An important question is whether it is possible to "translate" the bloomy experiences of the reanimated survivors into psychopathologically basic phenomena, e.g. acoasms, central narrowing of the visual field, autoscopia, visual hallucinations, activation of limbic and memory structures according to Moody's stages. The symptoms suppose a primary affliction of the occipital and temporal cortices under clinical death. This basis could be congruent with the thesis of pathoclisis - the inclination of special parts of the brain to be the first to be damaged in case of disease, lack of oxygen, or malnutrition - established eighty years ago by C. and O. Vogt. According to that thesis, the basic phenomena should be similar in all patients with near-death experiences. But a crucial problem is to distinguish these basic psychopathological symptoms from the secondary mental associated experiences which may result from a reprocessing of the basic symptoms under the influence of the person's cultural and religious views. Research released in 2010 by University of Maribor, Slovenia had put near-death experiences down to high levels of carbon dioxide in the blood altering the chemical balance of the brain and tricking it into 'seeing' things. Of the 52 patients, 11 reported NDEs. An article by Netherlands researchers Pim van Lommel et al., argues, "With a purely physiological explanation such as cerebral anoxia for the experience, most patients who have been clinically dead should report one." Accordingly, a lack of predictable experiences should cast doubt on wholesale explanations of NDEs. According to Southampton University researcher Dr. Sam Parnia, "Death starts when the heart stops beating, but we can intervene and bring people back to life, sometimes even after three to four hours when they are kept very cold. It could be that a far higher proportion of people have near-death experiences but don't remember them." It is suggested that the extreme stress caused by a life threatening situation triggers brain states similar to REM sleep and that part of the near death experience is a state similar to dreaming while awake. People who have experienced times when their brains behaved as if they were dreaming while awake are more likely to develop the near death experience. Further stimulation of the Vagus nerve during the physical and/or psychological stress of a life threatening situation, or the product of the imperiled brain, and may trigger brain conditions where the person is in a dream-like state while awake. Some sleep researchers, such as Timothy J. Green, Lynne Levitan and Stephen LaBerge, have noted that NDE experiences are similar to many of the experiences reported during lucid dreaming. Lucid dreaming occurs when the individual becomes lucid and realizes he is in a dream. Often these states are so realistic as to be barely distinguishable from reality, even including the ability to feel very realistic textures. 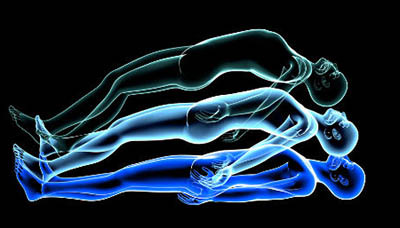 In a study of fourteen lucid dreamers performed in 1991, people who perform wake-initiated lucid dreams operation (WILD) reported experiences consistent with aspects of out-of-body experiences such as floating above their beds and the feeling of leaving their bodies. Due to the phenomenological overlap between lucid dreams, near death experiences, and out-of-body experiences, researchers say they believe a protocol could be developed to induce a lucid dream similar to a near-death experience in the laboratory. Other similarities include seeing oneself from the outside (an out of body experience), floating or flying, heightened awareness, and feelings of joy or peace. Some researchers believe this is caused when the mind is deprived of the majority of its main five senses and relies on the expectational processing. In this regard one experiences what one would expect to happen in their current circumstance. This could explain experiences caused by mental trauma such as a near miss accident in which the mind may close itself off at least partially to the senses and ones caused by physical trauma in which again the mind closes itself off to the world. At present, there exists no clear physiological or psychological basis for any relationship between lucid dreaming and NDEs. Modeling of NDEs using artificial neural networks has shown that some aspects of the core near death experience can be achieved through simulated neuron death.In the course of such simulations, the essential features of the NDE, life review, novel scenarios (i.e., heaven or hell), and OBE are observed through the generation of confabulations or false memories, as discussed in Confabulation (neural networks). The key feature contributing to the generation of such confabulatory states are a neural network's inability to differentiate dead from silent neurons. Memories, whether related to direct experience, or not, can be seeded upon arrays of such inactive brain cells. Near-death experiences can have a major impact on the people who have them, and they may produce a variety of after-effects. NDE subjects have increased activity in the left temporal lobe. NDEs are also associated with changes in personality and outlook on life. Kenneth Ring has identified a consistent set of value and belief changes associated with people who have had a near-death experience. Among these changes one finds a greater appreciation for life, higher self-esteem, greater compassion for others, a heightened sense of purpose and self-understanding, desire to learn, elevated spirituality, greater ecological sensitivity and planetary concern, and a feeling of being more intuitive. Changes may also include increased physical sensitivity; diminished tolerance to light, alcohol, and drugs; a feeling that the brain has been "altered" to encompass more; and a feeling that one is now using the "whole brain" rather than just a small part. However, not all after-effects are beneficial and Greyson describes circumstances where changes in attitudes and behavior can lead to psychosocial and psycho-spiritual problems. Often the problems have to do with the adjustment to ordinary life in the wake of the NDE. Many view the NDE as the precursor to an afterlife experience, claiming that the NDE cannot be adequately explained by physiological or psychological causes, and that the phenomenon conclusively demonstrates that human consciousness can function independently of brain activity. Many NDE-accounts seem to include elements which, according to several theorists, can only be explained by an out-of-body consciousness. For example, Michael Sabom states that one of his contacts accurately described a surgical instrument she had not seen previously, as well as a conversation that occurred while she was under general anesthesia. In another account, from a prospective Dutch NDE study, a nurse removed the dentures of an unconscious heart attack victim, and was identified after his recovery as the one who removed them. This surprised him, as that patient had been in a deep coma and undergoing cardio-pulmonary resuscitation at the time. Dr. Michael Sabom reports a case about a woman who underwent surgery for an aneurysm. The woman reported an out-of-body experience that she claimed continued through a brief period of the absence of any EEG activity. Many individuals who experience an NDE see it as a verification of the existence of an afterlife. This includes those with agnostic/atheist inclinations before the experience. There are examples of ex-atheists, such as the Reverend Howard Storm, adopting a more spiritual viewpoint after their NDEs. Storm's NDE may also be characterized as a distressing near-death experience. Likewise, individuals who do not experience an NDE after going into cardiac arrest frequently lose any preexisting belief in an afterlife. Both processes, like most of the psychological transformations associated with a close brush with death, take place gradually over several years. Greyson claims that: "No one physiological or psychological model by itself explains all the common features of NDE. The paradoxical occurrence of heightened, lucid awareness and logical thought processes during a period of impaired cerebral perfusion raises particular perplexing questions for our current understanding of consciousness and its relation to brain function. A clear sensorium and complex perceptual processes during a period of apparent clinical death challenge the concept that consciousness is localized exclusively in the brain." Another account by a student nurse named Jeanette Atkinson from Eastbourne, who experienced a near-death experience, says that, "There is no doubt in my mind that there's life after death because I've seen the other side. I don't believe in a benevolent God. I've seen too much suffering for that but I'm very spiritual." A recent study by Dr. Sam Parnia, shows that such patients are "effectively dead", with their brains shut down and no thoughts or feelings possible for the complex brain activity required for dreaming or hallucinating; additionally, to rule out the possibility that near-death experiences resulted from hallucinations after the brain had collapsed through lack of oxygen, Parnia rigorously monitored the concentrations of the vital gas in the patients' blood, and found that none of those who underwent the experiences had low levels of oxygen. He was also able to rule out claims that unusual combinations of drugs were to blame because the resuscitation procedure was the same in every case, regardless of whether they had a near-death experience or not. According to Parnia, "Arch sceptics will always attack our work. I'm content with that. That's how science progresses. What is clear is that something profound is happening. The mind - the thing that is 'you' - your soul if you will - carries on after conventional science says it should have drifted into nothingness." A few people feel that research on NDEs occurring in the blind can be interpreted to support an argument that consciousness survives bodily death. Dr. Kenneth Ring claims in the book Mindsight: Near-Death and Out-of-Body Experiences in the Blind that up to 80% of his sample studied reported some visual awareness during their NDE or out of body experience. 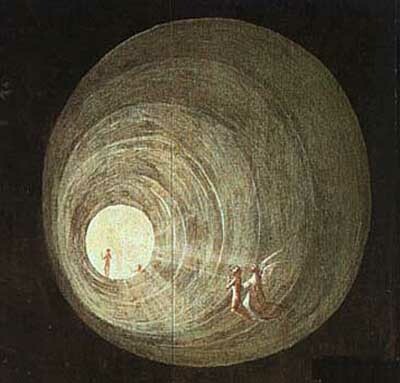 There are many religious and physiological views of near-death experiences. The NDE is often cited as evidence for the existence of the human soul, the afterlife, and heaven and hell, ideas that appear in many religious traditions. On the other hand, skeptical commentators view NDEs as purely neurological and chemical phenomena occurring in the brain. From this perspective, NDEs are the result of purely physiological and neurobiological mechanisms. The imagery in the experiences also varies within cultures. There has been recent research into afterlife conceptions across cultures by religious studies scholar Dr. Gregory Shushan. The study analyzes the afterlife beliefs of five ancient civilizations (Old and Middle Kingdom Egypt, Sumerian and Old Babylonian Mesopotamia, Vedic India, pre-Buddhist China, and pre-Columbian Mesoamerica) in light of historical and contemporary reports of near-death experiences, and shamanic afterlife "journeys". It was found that despite numerous culture-specific differences, the nine most frequently recurring NDE elements also recur on a general structural level cross-culturally. This suggests that the authors of these ancient religious texts were familiar with NDE or something similar (e.g. shamanic-type experiences). Cross-cultural similarity, however, can be used to support both religious and physiological theories, for both rely on demonstrating that the phenomenon is universal. Others dispute that there are cultural similarities. I had a near-death experience at age 5 when I had pneumonia and nearly died. I was in the hospital and saw myself out of my body watching. Next thing I knew I was sitting on the branch of a tree with a little boy my age - talking about meeting again in this lifetime - much later on - to do something related to the tree. (This could symbolize the Tree of life - based on they way my life path has unfolded.) I believe this links with Alexander in my book 2012 Sarah and Alexander. In January 2000, I had a dream that was like a near-death experience in that I remember being in a source of light -> then hearing water whooshing -> then moving backwards through "the tunnel" that connects physical reality with the grids. In the moment, I saw 2 entities in the light that I recognized as other aspects of my soul. Quickly, I returned to my physical body and woke up. Interesting stories about what people see before they die. These are not near death experiences - they are pre-death experiences. A hospice in upstate New York has amassed a huge collection of intriguing dreams and visions that their patients have shared before passing away. . In the segment, the doctor recalled how he had initially been skeptical about this pre-death phenomenon, but soon became a believer after a nurse explained that she could tell when someone was about to die because they would experience these visions. Do all people experience similar near-death-experiences? New research examines how frequently and in what order different aspects of self-reported near-death-experiences occur. By analyzing written first-hand accounts of near-death-experiences, the researchers looked at whether specific aspects of these experiences tend to occur in the same order for different people. They found that even though some events are more common, and some are more likely to follow one another, near-death-experiences tend to be unique to the individual in terms of chronology. 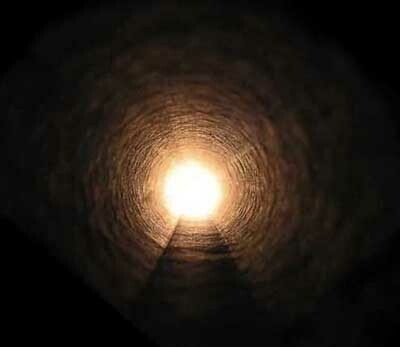 The light at the end of the tunnel equates to consciousness spiraling back to creation. Consciousness moves in spirals - remember the Fibonacci sequence. Biologists separate life into three phases: development, aging and late life. But a growing body of research now suggests that there is a fourth phase immediately preceding death that scientists have dubbed the "death spiral." Although most of the "death spiral" research has focused on fruit flies, scientists think these studies can offer valuable insight into the last stage of human life as well. A death spiral in people could be the reason we often see a distinct increase in disability just before a person dies. Humans are challenging study subjects for both ethical and biological reasons, but looking at the death spiral in other organisms could give scientists a window into how this works in humans. Genetic research continues. Reports of people having "near-death" experiences go back to antiquity, but the oldest medical description of the phenomenon may come from a French physician around 1740, a researcher has found. 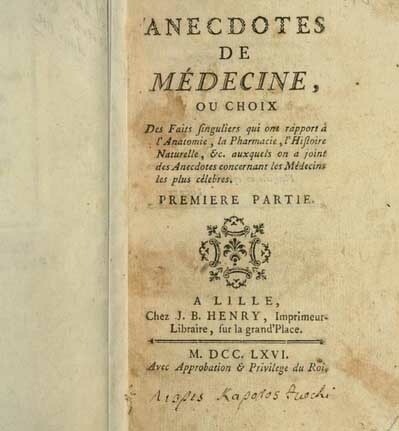 The report was written by Pierre-Jean du Monchaux, a military physician from northern France, who described a case of near-death experience in his book "Anecdotes de Medecine." Monchaux speculated that too much blood flow to the brain could explain the mystical feelings people report after coming back to consciousness. The description was recently found by Dr. Phillippe Charlier, a medical doctor and archeologist, who is well known in France for his forensic work on the remains of historical figures. Charlier unexpectedly discovered the medical description in a book he had bought for 1 euro (a little more than $1) in an antique shop. Near-death experiences (NDEs) are reported by an estimated 200,000 Americans a year, and studies around the world suggest NDEs are a common human experience. They have been recorded in the folklore of many cultures, and reported by people from diverse backgrounds and in widely varying circumstances. Whatever the explanations behind them, NDEs have a significant impact on many people. Dr. Kenneth Ring, Emeritus professor of Psychology at the University of Connecticut, one of the world's leading Near-Death researchers, has chronicled, through his research, the Near-Death-Experiences of several blind subjects. According to Dr. Ring, Vicki's experience is typical of blind NDE'ers, which seems to suggest that NDE's are something far more complicated than dreams or simple hallucinations. 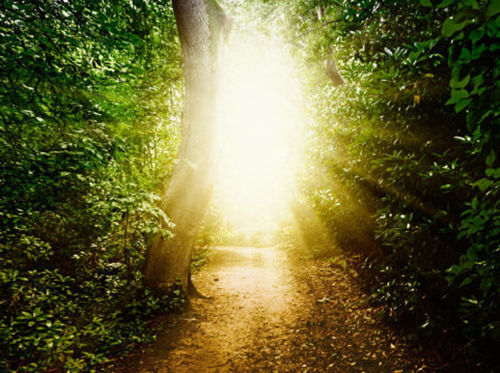 Not only did Vicki, and presumably others, experience sight for the first time during her NDE, but that experience was carried back into her consciousness once she was revived, giving her the only visual memory she ever had. A surge of electrical activity in the brain could be responsible for the vivid experiences described by near-death survivors, scientists report. A study carried out on dying rats found high levels of brainwaves at the point of the animals' demise. Near-death experiences could be caused by a surge of electrical firing in the dying brain, new research in animals suggests. In the study, rats whose hearts were stopped showed a surge of brain waves associated with consciousness, according to a new study published today (Aug. 12) in the journal Proceedings of the National Academy of Sciences. The researchers measured the animals' brain activity on electroencephalography (EEG) machines. However, whether the animals perceive that as a white light or tunnel of light, that's something we can't know. It was 1993. Kathleen Elmore was driving through an intersection and a truck came at her from the left. "That doesn't look good," she thought. "Dying does not hurt," Elmore said as she recounted the experience at the International Association for Near-Death Studies (IANDS) conference this year. 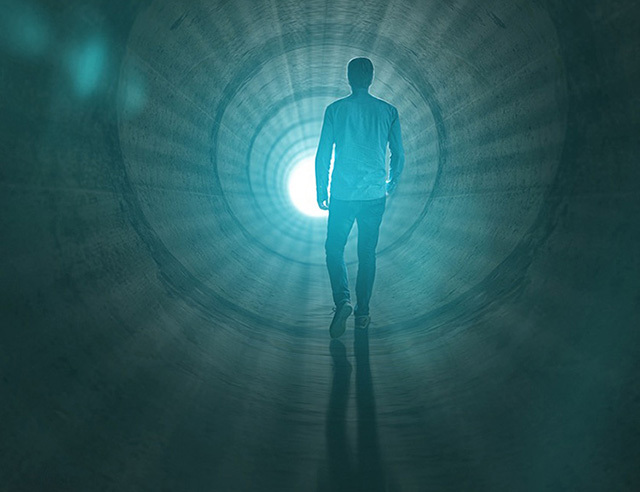 Near-death experiences are often thought of as mystical phenomena, but research is now revealing scientific explanations for virtually all of their common features. The details of what happens in near-death experiences are now known widely - a sense of being dead, a feeling that one's "soul" has left the body, a voyage toward a bright light, and a departure to another reality where love and bliss are all-encompassing. Approximately 3 percent of the U.S. population says they have had a near-death experience, according to a Gallup poll. Near-death experiences are reported across cultures, with written records of them dating back to ancient Greece. Not all of these experiences actually coincide with brushes with death - one study of 58 patients who recounted near-death experiences found 30 were not actually in danger of dying, although most of them thought they were. It is only 30 years ago that the term near-death experience was coined. An American researcher, Raymond Moody, used it to describe the reports of a large number of people who, whilst apparently dead, had seen deceased relatives, tunnels of light, life reviews and felt an overwhelming sense of peace, before being resuscitated. From the corner of the room, Christine Ellingham says she could see emergency medical staff crowding around an unconscious body. They were desperately trying to revive the woman, and to save her unborn baby.